It has been snowing for three days straight. Most of the stuff coming down is light and fluffy, but it is starting to pile up! 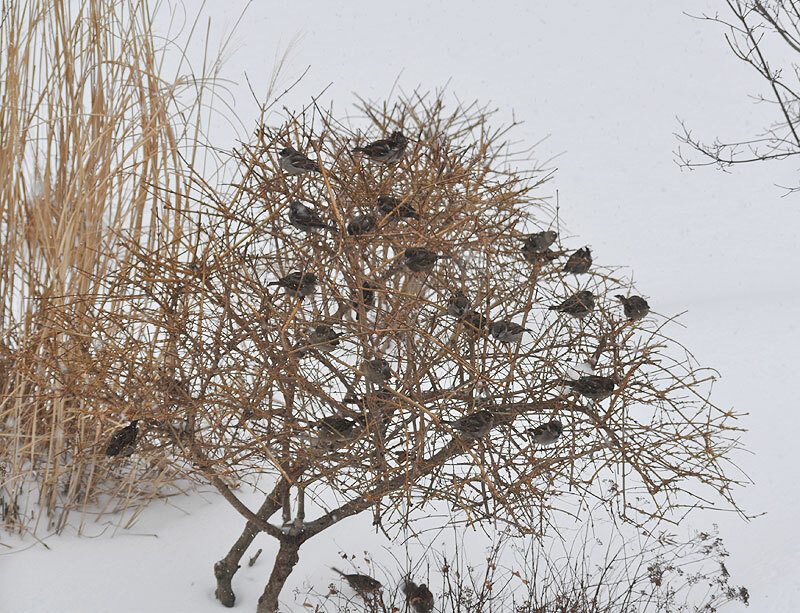 All this snow is making it more difficult for our friends in the RainyDayGarden to get their daily fill. We have been filling our feeder every day, and news of the free food is making its way around the neighborhood. All kinds of creatures are stopping by to check out the menu. There is some sort of order to all of this feathery feeding chaos. Those not interested in fighting for the “first feed” privilege are content to wait in a nearby bush until the more aggressive ones have had their fill. However, even the timid ones are starting to realize that they have to fight for spot on the feeder instead of just waiting for stuff to fall to the ground. It is nice to see that even though we are in the city, there are still plenty of interesting wildlife out there. 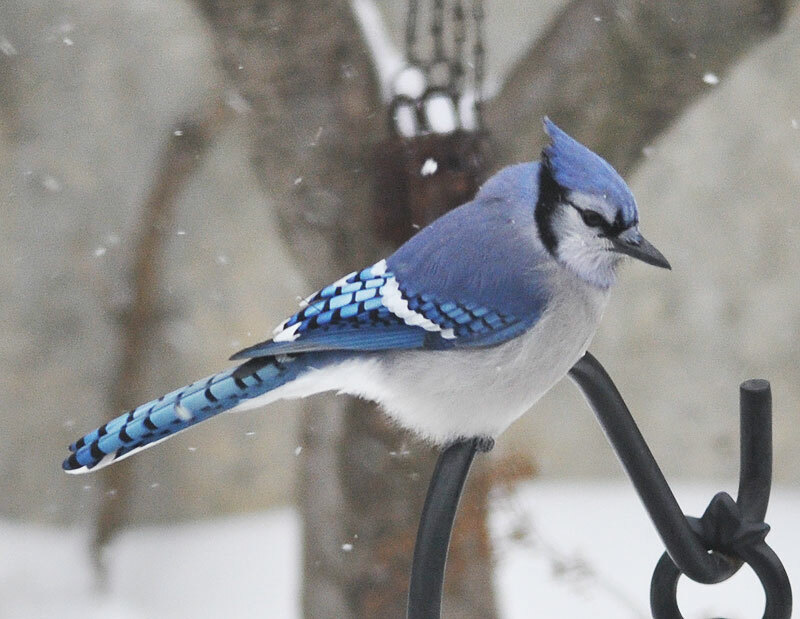 All it takes are some seeds and peanuts to bring them within visual range.